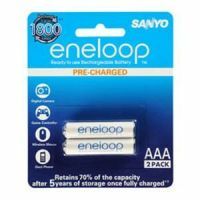 Rechargeable up to 500 times.these batteries Retain about 85% of charge even after 1 year if not used.These Low Self Discharge rechargeable 2,550 mAh AA batteries provides high power performance down to sub-zero temperatures (as low as -20 degrees C).Factory pre-charged by solar energy and ready to use right out of the package. 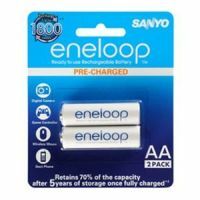 These give a Stable voltage of 1.2 V with 5 X longer power life than Alkaline batteries.These Batteries combine the best features of AA Alkaline (ready for use) and Rechargeable (reusable) batteries.Perfect for use in powering high current devices such as DSLR camera,Wireless Mouse,Wireless Keyboard etc. To Recieve updates and possible rewards for Panasonic HR-3UWXB-4TM please sign in. To Recieve updates and possible rewards for Rechargeable Battery please sign in.